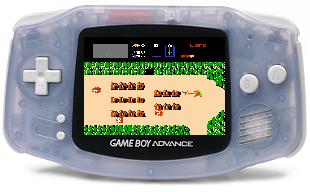 You can play every Game Boy Advance game on your iPhone right now, thanks to GBA4iOS from developer Riley Testut. Using a loophole in Apple’s app installation systems, this emulator can easily be installed on any iOS device, for free. There is a slight (but seemingly easily) trick you must do to your iPhone settings. After you perform the hack, you can download the app directly from the GBA4iOS website. The emulator with full support for Game Boy Advance, Game Boy Color, and Game Boy itself, plus accelerated speed and Dropbox syncing for saves between multiple devices. We’re not sure if this conforms to the App Store’s terms of service (so watch out) but if you’re missing your long-lost Game Boy this may be fun to play with! Eric Jordan is our Tectorian of the Week for August 1, 2014. Eric got his start in a computer lab at UVic in the mid-90’s where he helped co-found PureEdge Solutions. By the time the home-grown software company was acquired by IBM in 2005, PureEdge had 70 employees and 5 million users. Following the acquistion, Eric took a year off to travel the world with his family. But Eric came back to Victoria, and has been committed to making our community a better place every since. Eric helps out in a lot of ways. For example, he’s a board member of the Cool Aid Society and is the co-chair (along with Victoria mayor Dean Fortin) of the Greater Victoria Coalition to End Homelessness. By 2018, all people facing homelessness in Victoria will have access to safe, affordable, appropriate, permanent housing. The Victoria region has built a considerable number of supportive and affordable housing units since 2008, but the Coalition estimates that at least 1,500 units of affordable housing and more than 250 supportive housing units are still needed to end homelessness in Greater Victoria. If you want to join Eric and the Coalition on their mission to end homelessness, get involved. In fact, Eric has always tried to help out his local community, including a decade ago when as chair of the VIATeC board of directors, he helped launch the VIATeC Food Bank Challenge. The Food Bank Challenge has since grown into a massively successful Tectoria community campaign that has collected more than $1.5 million so far to help out the more than 20,000 individuals in Victoria who rely on a food bank each year to avoid going hungry. More recently, after serving as president of the Premier’s Technology Council, where he had the opportunity to educate senior levels of government about the important role tech companies play in BC’s economy, Eric has returned to his roots to lead a successful high-growth company right here in Victoria. You should know that Eric is also all about games, both online and IRL with his family and friends (a certain Tectoria blog writer has even received useful parenting tips from Eric about how to “gameify” household chores so that the kids will actually do them). 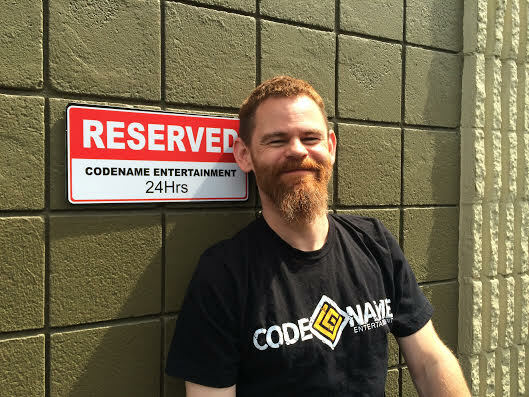 This makes him the perfect choice to lead Codename Entertainment. The growing company is part of Victoria’s booming gaming industry, and has created a ton of cool titles that gamers all over the world can play on Facebook, Kongregate, BigFish and more. Always ready to help build community, Eric sits on the Video Game Round Table, and is organizing the Video Game Startup Boot Camp here in Victoria on October 17. Eric is working with VIATeC and IGDA to create a structured, intensive day-long workshop to connect local Tectorian teams and individuals with industry experts to put together a business plan. The goal? To build a video game company right here in Victoria and help this vibrant sector continue to grow. And, of course, as a technology veteran and a member of the gaming community, Eric can be counted on to participate in events like OrcaJam and GottaCon that mix gaming, technology, and the creative industries. That’s a lot of community involvement! Thanks, Eric! Eric has done a lot of other cool things in his life, and we know he will continue to accomplish a lot. And we also know he’ll always be here, helping make Tectoria a true community. 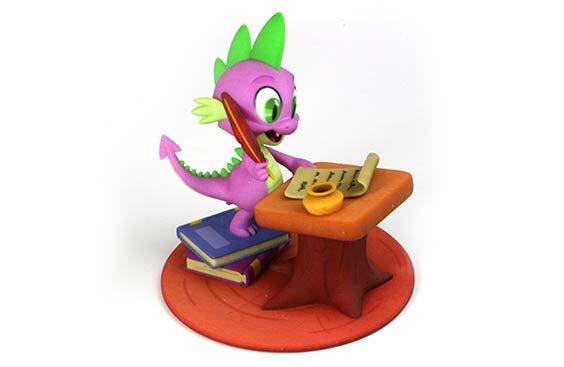 Hasbro has a new idea about how to make money off fan art: 3D-print it. The company has launched a new site called SuperFanArt where My Little Pony fans can buy figurines designed by non-professional artists, created on-demand by Shapeways. Anyone with a eye for design is encouraged to contact Hasbro to join the list of approved artists. Hasbro, which owns My Little Pony, Transformers and many other popular toy brands, would start with My Little Pony with other toy lines proposed in the future. Five individual artists that have almost total control over how they design products with Hasbro’s pony toy line. Over time, more brands and artists will be added to the website, which was launched to coincide with Comic-Con. The marketplace Hasbro is hoping to create is similar to Etsy, a website where more than 19,000 My Little Pony and 4,700 Transformers items are currently listed. Many of those items are made by sellers that likely aren’t paying Hasbro a licensing fee, and so by creating its own marketplace, the toy company can compete with those sellers. 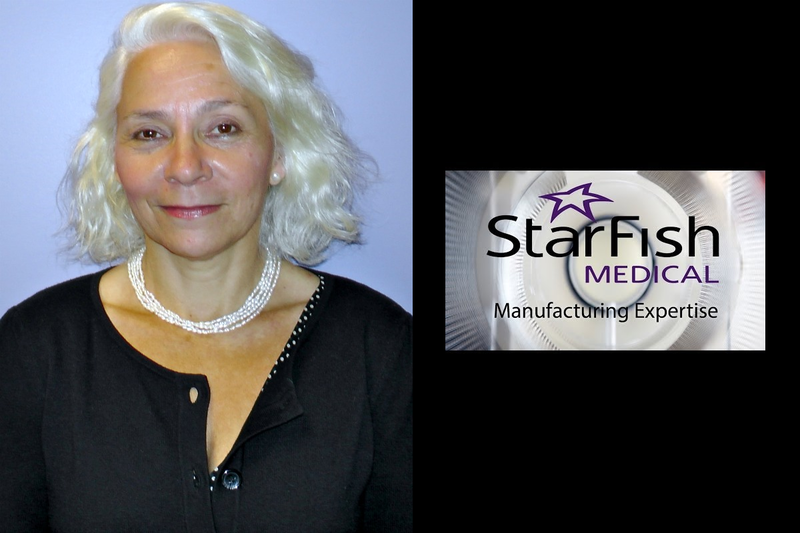 Laura Meyer of StarFish Medical is our Tectorian of the week. Laura is StarFish Medical’s supply chain manager, her background is in electro-optics, and she has also built aircraft for several years. She’s a Lean facilitator, which means Laura helps optimize supply chains, and she’s happy to share her expertise with other supply chain and manufacturing managers in Victoria. In fact, a true Tectorian, Laura volunteers her time to organize the VIATeC Supply Chain Round Table. Collaborating with peers across different companies to share best practices and build a strong tech community is the Tectorian way, so thanks Laura! 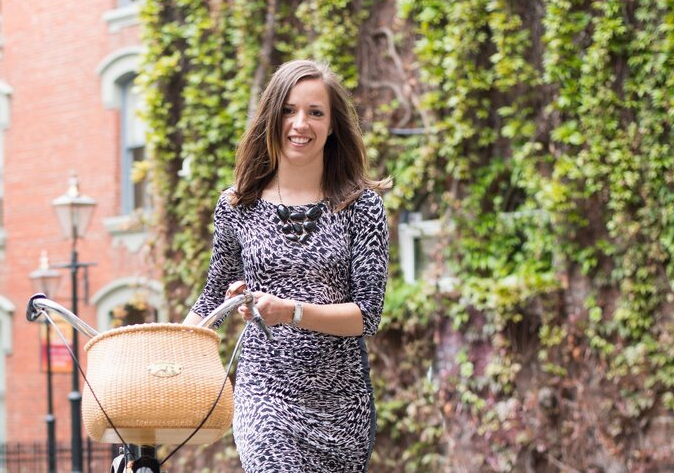 Before arriving in Victoria nearly a year ago, Laura worked all over the world managing and then building supply chains for advanced manufacturing companies like StarFish Medical, Victoria’s well-known medical device design, development and manufacturing company. StarFish clients are often entrepreneurs bringing new concepts to life. Laura’s job is to help engineers source or create standard products that turn concepts into prototypes and eventually medical devices. Laura also supports ViVitro Labs, a StarFish Group company which is itself well-known within its global industry for designing and providing cardiovascular device testing equipment and lab services. What makes Laura such a pleasure to work with? “She brought the promise of adding experience and energy to the manufacturing and supply chain team. Eight months later she has delivered on all counts,” says Jason Dolynny, StarFish’s Director of Manufacturing. Once again, a Tectorian is helping put our community on the map as a place where idea grow. We’re happy Laura has come here to share her experience and drive, and look forward to seeing what she does in the future! Innovation Elsewhere: Name Your Own Exoplanet! If you ever wanted your own planet, now’s your chance. The International Astronomical Union has invited the public to suggest official names for 20 to 30 planets found outside of our solar system. 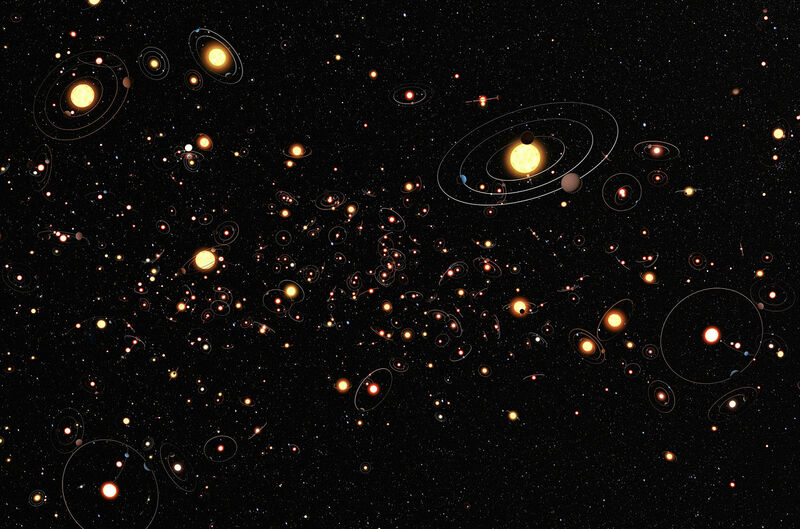 Over 1800 exoplanets have been discovered (1810 planets in 1125 planetary systems including 466 multiple planetary systems. Astronomy clubs around the world will vote for which of 305 well-studied worlds they feel deserve more exciting names. Once the list has been nailed down to 20 or 30, the clubs will be invited to suggest names for them through citizen science organisation Zooniverse. But there are strict rules. You can’t suggest anything copyrighted, or anything named after a living person or a person known for political, military or religious activities. Names of pet animals are also forbidden. To suggest a name, you’ll need to be a member of an astronomical club. Or form one, make a website, and register the group with the IAU as soon as possible. Jesse Learmonth is our Tectorian of the Week for July 18th. Jesse is an inspiration: since helping launch web and mobile startup Bet Smart Media in 2010, Jesse has not only built a successful tech company right here in Victoria, he has also worked tirelessly to connect fellow entrepreneurs in town with resources and support – the very spirit of a Tectorian. But first, more about Bet Smart. Bet Smart has been developing web and mobile betting products since 2010. Jesse and his team have taken an idea (we remember a presentation they made at the Tech Park on a rainy winter day back in 2010) and have turned it into reality. 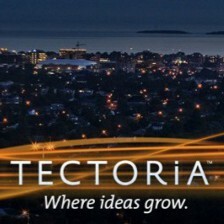 That’s Tectoria, for you. Bet Smart focuses exclusively on the mobile “iGaming industry”, and more specifically, the sports betting category. The team helps people find and choose bets, and their strategy is to partner with sportsbook operators to supply them with content-driven products that deliver value to the bettor, whilst helping drive bets to the sportsbook. Bet Smart also has a service offering, lending itself out to other companies looking for some extra horsepower and expertise in the area of app development and more. Jesse has also channeled his drive and enthusiasm into the Victoria BC Startups group on Meetup.com. The group provides true technology entrepreneurs with regular meetups with other local startup founders to exchange ideas, share stories from the trenches, and liaise with others who have a true appreciation for what it means to start a company! It’s an technology entrepreneur group run by other entrepreneurs – a cohort that typically works night and day to build their businesses with little time for socializing. So Jesse is helping build community, helping share information, and helping build Tectoria. Greg Bobolo is our Tectorian of the Week for July 11th, 2014. Greg Bobolo and the team at Tectoria’s own SendtoNews have signed an agreement for the global syndication of short videos for Major League Baseball and Minor League Baseball, a deal SendtoNews estimates will bring in more than $100 million over five years. The Wharf Street-based company generates revenue via the ads attached to each video. Ad revenue from the video is distributed between the rights holder, media outlets and SendtoNews. 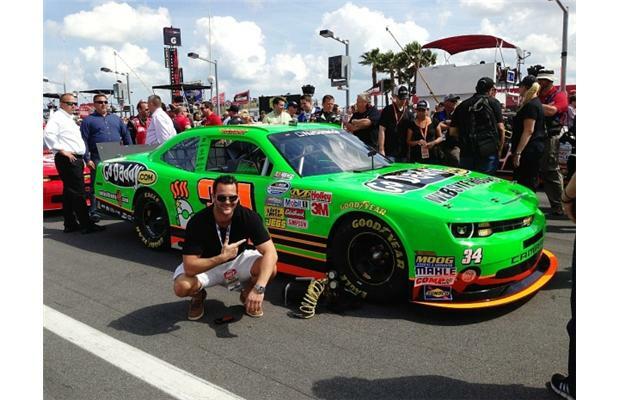 Prior to MLB, SendtoNews had already inked deals with NASCAR, the American Hockey League, and other organizations. These sports highlights are sent to more than 1,000 newsrooms all over North America. Not bad for a tech startup that’s just four years old. SendtoNews is the based on the vision of Keith Wells, a veteran broadcaster and familiar local face who understood that a rapidly changing media landscape presented a lot of opportunities. In response, Keith developed a platform that allowed non-accredited media to relay video from the 2010 Olympics to their local station. Greg Bobolo then led an A-Team of some Tectoria’s most talented tech veterans to transform Keith’s vision into a grand-slam success story. Before joining SendtoNews, Greg Bobolo had already founded and built two startups into multimillion-dollar operations in seven years, winning him an Ernst & Young Entrepreneur Award finalist nomination at just 31 years old. Greg’s hard work pounding the pavement in Los Angeles, London, New York and other global media hubs has paid off. By the end of 2013, Victoria’s own SendtoNews was the largest provider of short-form sports video content in Canada. “We have a digital network that sees millions and millions of viewers every month, and it’s growing steadily at about 100 per cent month-over-month,” Greg told the Globe and Mail about a year ago. By the end of 2014, Greg is predicting there will be more than 100 million monthly viewers on the SendtoNews network in North America. Besides Greg’s energy and drive, what sets him apart is his ability to “network at a high level” to develop the partnerships that drive SendtoNews’ success. He estimates he’s met with over 120 sports owners, from the NHL to the NBA, preferring to go directly to the top. Never feeling self-conscious about his Tectorian “small island in the Pacific Ocean” roots, Greg always feels confident when negotiating with a room full of Ivy League graduates, relying on “doing his homework” to secure a deal. Greg Bobolo and the team at SendtoNews provide a lot of inspiration for fellow Tectorians trying to make it big. Congratulations on the newest major league partnership, and we’re pretty sure this is just the beginning. It turns out that Pied Piper, the company from television’s Silicon Valley, HBO’s satirical take on the tech industry, may actually exists in real life. General Harmonics is a small startup from Vancouver that’s looking to revolutionize the way we stream media. In the show Silicon Valley, Pied Piper is a fictional company that makes compression software that makes files incredibly small, allowing for faster downloads and taking up less storage. Canada’s General Harmonics doesn’t do that – instead of compressing files down to ever smaller sizes, the company’s technology looks at media as “systems of information,” or very detailed descriptions of the parts they’re composed of. Using their technology, a song is seen in terms of its vocals and the instruments played. The description of each of those elements takes up less space than the actual digital audio file would. General Harmonics says it can deliver CD-quality music in one-twentieth the original file size. The implication is companies like Spotify, Pandora, or Apple could significantly cut down on server costs — or, more likely, serve customers better for the same level of spending. Engineers at NASA’s Jet Propulsion Laboratory have built a robot that will be able to chart the icy waters found in outer space, such as on Jupiter’s moon Europa. The Buoyant Rover for Under-Ice Exploration (BRUIE) is operated through satellite link and designed to cling onto the underside of ice with metal tires, transmitting measurements back to scientists and assessing whether the waters host other life-forms. BRUIE is currently being tested in frozen Alaska lakes, but engineers hope that the robot will one day be flown to Europa. Carli van Maurik is our Tectorian of the Week for July 4th, 2014. Many Tectorians will recognize Carli thanks to her constant presence as a “booster” in the VIATeC Accelerator, where she mentors start-up businesses and appears as a frequent guest speaker. Carli provides much-appreciated insights about technology start-up formation, debt and equity financing, corporate and capital structuring, corporate governance, maintenance and compliance, as well as shareholders agreements. In short, if you’re a building a tech company in Victoria, you want someone like Carli in your corner, not only because of her knowledge and expertise, but also because Carli has been there too, trying to do something that’s never been done before in order to reach her maximum potential. So, with the goldfish triggering a certain satori, Carli ended up in Victoria, where she quickly rolled up her sleeves doing pro bono work while working for some top-notch local boutique law firms. Now Carli van Maurik is Senior Business Solutions Lawyer at Whiteboard Law, where she works with BC tech industry champions Jim and Joan Mutter to help businesses in Victoria, Vancouver, and Kelowna grow and achieve their full potential. They help everyone from early stage growth-oriented companies to acquisition-ready companies that are raising money and doing deals – the kind of successes the VIATeC Accelerator program is trying to foster. Whiteboard Law is unique in that it is a completely virtual law practice, and uses cloud-based technology that allows the team to be on the move, with full access to client files from any global location with internet access. This is actually innovative for the legal industry, which even in 2014 still typically relies on paper-based information management – this means companies must take time out of their day to travel to a law office to review files. Whiteboard’s online approach provides startup companies with an agile process that saves time and money – crucial in a tech scene that is always changing. Carli’s sense of enthusiasm, and her focus on entrepreneurship and innovation make her the perfect fit for Accelerate Tectoria, and make her our Tectorian of the Week.